Two closely.watched indicators of economic performance are inflation and unemployment. 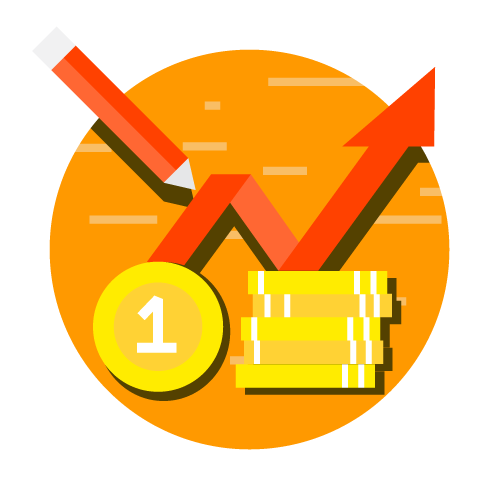 When the Bureau of Labor Statistics releases data on these valuables each month, policymakers are eager to hear the news. Some commentators have added together the inflation rate and the unemployment rate to produce a misery index. which purports to measure the health of the economy. How are these two measures of economic. performance related to each other? Earlier in the book, we discussed the long-run determinants of unemployment and. 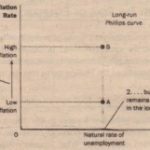 the long-run determinants of inflation. We saw that the natural rate of unemployment depends on various features of the labor market, such as minimum wage laws, the market power of unions, the role of efficiency wages, and the effectiveness of job search. By contrast, the inflation rate depends primarily on growth in the money supply,’ which a nation’s central bank controls. In the long run. therefore, inflation and unemployment are largely unrelated problems. In the short run, just the opposite is true. 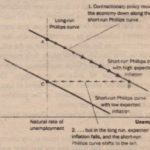 One of the Ten-Principle of Economics discussed in-Chapter 1 is that society a short-run trade-off between inflation and unemployment. If monetary and fiscal policymakers expand-aggregate demand and move. the economy up along the short-run aggregate-supply curve, they can expand output and lower unemoloyment for a while, but only at the cost of a more rapidly rising price level policymakers contract aggregate demand and move the economy down the short run aggregate-supply they can lower inflation, but only at the cost of temporarily lower output and higher unemployment. Iii this chapter.. we examine the inflation-unemployment trade-off more closely. The relationship inflation and unemployment is a topic that has attracted the attention of some of the most important economists of the last half-century. The best way to understand this relationship is to see how thinking about it has evolved. 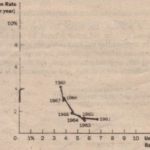 As we will see, the history of thought regarding inflation and unemployment since the 1950s is inextricably connected to the history of the US. economy. 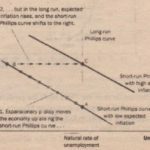 These two histories will show why the trade-off between inflation and unemployment holds in the short run, why it does not hold in the long run, and what is the trade-off raises for economic policymakers.